A beautiful Shirvan kilim with a gorgeous repetition of diamond and triangle patterns. It takes advantage of a broad range of bright and rare pastel colors, giving it an authentically indigenous yet modern character. 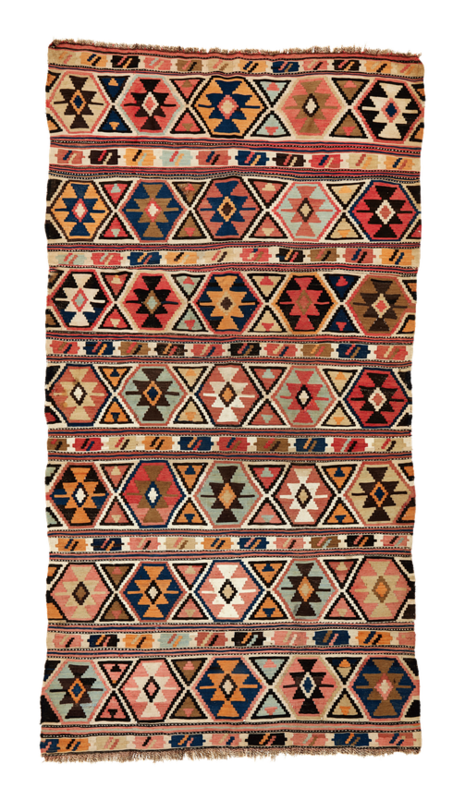 The kilim's condition is surprisingly good for its age but shows some old restorations throughout.